You know your son or daughter has had very little to eat during the day, but despite your best efforts to prepare a yummy meal, they refuse point blank to eat it. You’ve tried everything…reasons, rewards and even the occasional threat, but nothing you do or say will convince your fussy eater to try a morsel of the delicious dinner you’ve prepared. If your child is a fussy eater, this probably sounds familiar and you’ve probably been searching for answers to your child’s dinnertime drama for a while. 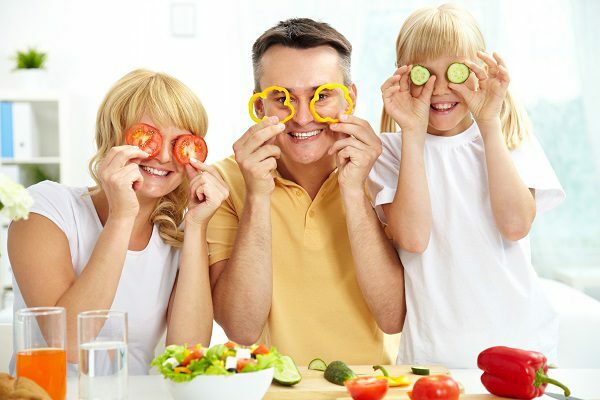 Food and eating is central to the way we live our lives, but did you know that, in our desire to get our kids to enjoy the sense of occasions that comes when we eat, we’ve created some ‘myths’ about mealtimes that are now being challenged by scientists and researchers all over the world? If your son or daughter is fussy eater, ‘busting’ these myths could be the first step toward helping your child to take a new approach to food. If you have a fussy eater, you know that eating is far from easy. But did you know that eating is the most complex task that our bodies undertake? In order to be able to eat successfully, your child needs to efficiently use every single organ system in their little body. Eating involves staying upright, breathing and using our fine and gross motor skills too. It requires our mouths and jaws to be strong enough to chew and swallow, and our digestive systems to work well. And on top of all that, our sensory system has to process the look, smell, texture and taste of hundreds of different foods. Just one swallow requires the use and coordination of 26 muscles and 6 cranial nerves! It’s no wonder some children find eating so difficult! Myth #2: Eating is a basic human instinct. All children will know how to eat instinctively. When people say that eating is basic human instinct, they are right. But what some don’t know is that a baby’s instinctive acceptance of food doesn’t last for long. We are all born with primitive reflexes that help us to survive. Actions such as rooting, sucking and swallowing are instinctive, but they only last until a baby is about 4 months old. As soon as your child moved out of that ‘newborn’ phase, they started to have control over what they would and wouldn’t eat and drink. By the time your child was 6 months old, their eating and drinking habits were learned motor behaviours. Their food choices became voluntary, rather than instinctive, at a very early age. At what age did your child start to assert their food preferences? If you have a fussy eater, it’s quite possible that your child has been making choices about what they will and won’t eat for quite a while. Myth #3: A child will not starve. If they are hungry enough they will eat. There are definitely some children who use mealtimes to assert their will on the rest of the family. Occasional dinner time dramas happen in most households, but in the end, the majority of children eventually give in to their hunger and are prepared to eat something. But this is not the case for children who have genuine feeding problems. Studies have shown that there are many factors that contribute to a fussy eater’s feeding habits. If your child eats a limited amount of food and has a low-calorie intake, it can reduce their appetite. So, when your fussy eater tells you that they are not hungry, they may be telling you the truth. When this happens over and over for long periods of time, many children who are fussy eaters ‘miss the cues’ that tell their bodies that they need to eat, and so they don’t. It’s a cycle that can be hard to break. If your child has a food repertoire of fewer than 20 foods, they may refuse entire food groups or exclude specific types of food textures from their diet. They might do this because the sensations they feel when confronted by different foods are challenging, or they might refuse to eat certain foods because the experience of trying that new food may be painful and difficult. If something hurts, children usually avoid or run away from it. Children definitely go through phases with what they will and will not eat, but there is a big difference between children who are picky eaters and those who are problem eaters. If you are concerned about your child’s eating habits, consult with your family doctor to rule out any underlying medical or health concerns. Feeding therapy, delivered by specially trained speech pathologists and occupational therapists, is another avenue that you may wish to try as you help your child find the way forward with food. Content originally sourced from SOS Approach to Feeding by Dr Kay Toomey. Dr Toomey is a psychologist and Feeding Specialist. Her evidence-based SOS feeding approach debunks mealtime myths for fussy eaters. If you have concerns about your child’s fussy eating, Kids First Children’s Services offers popular, and highly effective, Feeding Therapy that is delivered by speech and occupational therapists who have post-graduate training in the SOS Approach to Feeding.